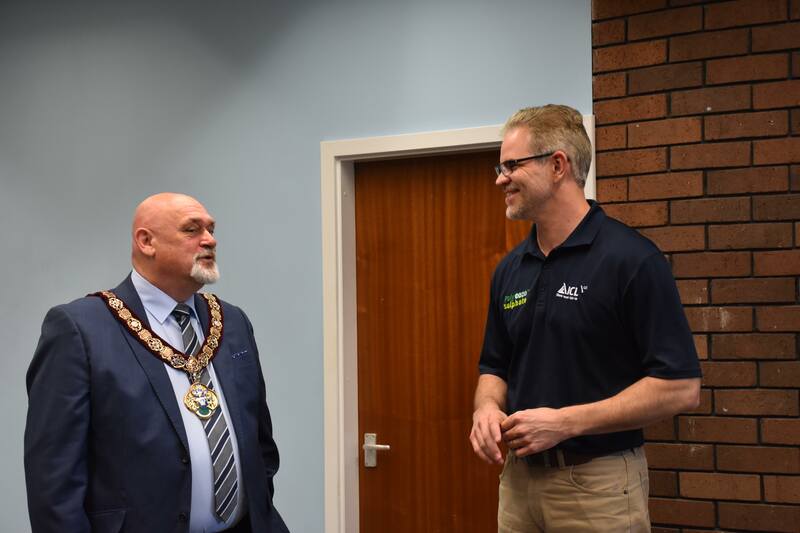 As one of his last acts as the Mayor of Redcar and Cleveland – Cllr Barry Hunt – had led a team to visit the potash mine at Boulby owned and operated by ICL UK. After being given a briefing on the mine’s history and current situation by chief executive Marc Kirsten they were taken underground to tour the extensive mine workings and watch miners at work at the face. Cllr Hunt was elected mayor last May and is reaching the end of his tenure in the largely ceremonial role. He represents the Brotton Ward as an Independent.